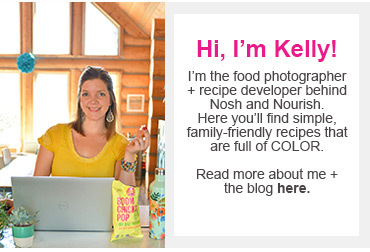 Hi, Nosh and Nourish readers! 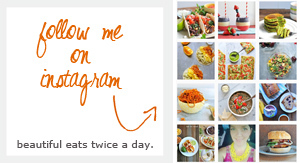 Lexi and Beth from @crowded_kitchen here after a brief hiatus, during which I (Lexi) got married, and we got a puppy (follow along on our Insta stories to see allllllllll the puppy cuteness!!) After a few weeks off due to wedding festivities, and a few weeks spent catching up, we’re finally back in the swing of things and working on some exciting fall recipes, including this truly delicious sandwich. Here’s a quick breakdown of the deliciousness packed into this lunchtime upgrade: fig spread, apple cider caramelized onions (the best part!! ), vegan cheese, fresh figs and honeycrisp apple slices, all sandwiched between two toasty slices of whole grain bread brushed with olive oil. We’re both allergic to dairy, so we use these vegan cheese slices, which quite honestly taste great and melt well (something that can’t be said for all dairy free cheese alternatives!). If you’re not vegan or dairy free, we think this would pair well with a sharp cheddar cheese, or even brie. 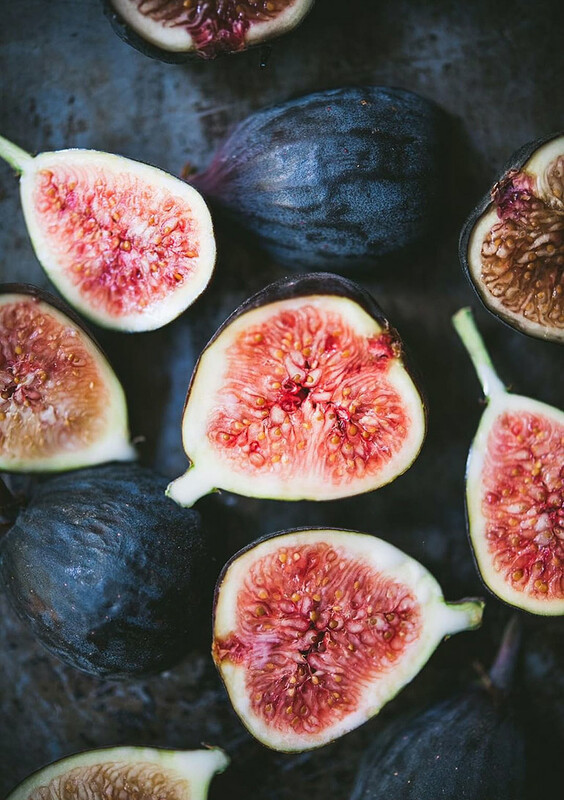 Fresh figs are in peak season right now, but if you can’t find them, pick up a fig spread from your local store. We used both - the spread works well to bind everything together, and juicy sliced figs add a burst of freshness. Honeycrisp apples are without a doubt my favorite snacking apple - they’re so sweet and crisp (hence the name), which adds a nice textural contrast to this sandwich. 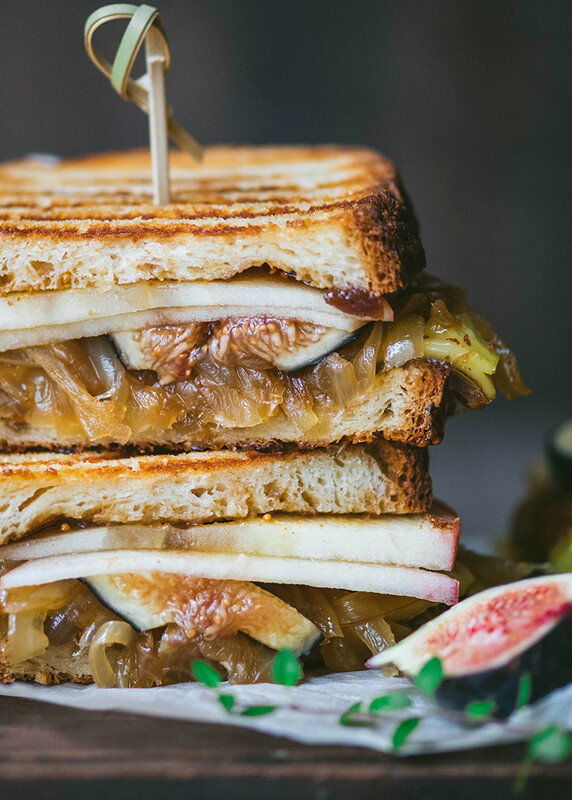 The absolute BEST part of this sandwich is the apple cider caramelized onions. I had to hold myself back from eating them straight from the pan! Although caramelized onions require a bit of time and patience, they’re totally worth the effort. If you make a big batch at once, you can store them in the refrigerator for easy access, although they might not last very long if you’re anything like us! Though time consuming, they’re very easy to make - simply slice onions thinly, cook in a bit of oil on medium-low heat, stirring very frequently to prevent burning. Add a splash of apple cider about 3 times during the cook time, plus a sprinkle of salt, and you’ll eventually have beautifully golden brown, sweet onions. To make the caramelized onions, slice a yellow onion thinly (follow this guide if you’re not sure how to do it), then add to a sauté pan with about ½ tbsp olive oil. Stir frequently. Once the onions are translucent and softened, add in 1 tbsp apple cider. Continue stirring and add in salt and rest of apple cider about 10 minutes later. It will probably take close to 40 minutes to reach desired caramelization. 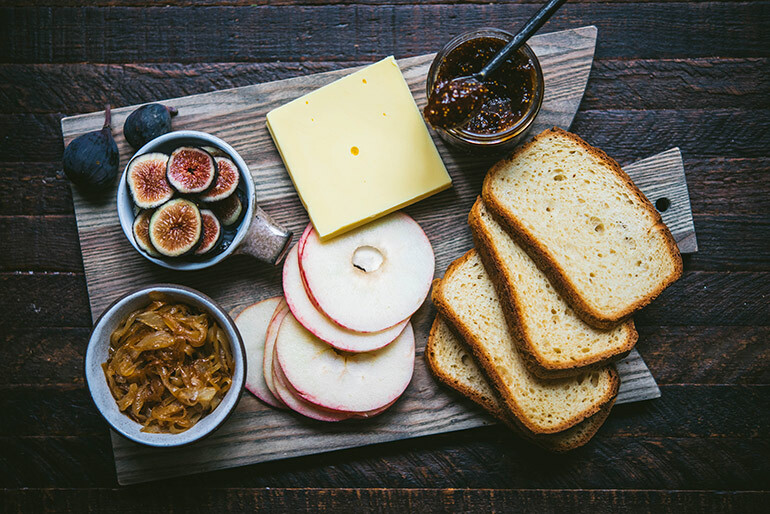 To assemble sandwich, brush outside facing side of bread with olive oil, then spread a layer of fig jam, followed by the cheese, caramelized onions, fresh figs, apple and other slice of bread. Press in panini press until golden brown and crispy on exterior of bread. If you don’t have a panini press, cook sandwich in a pan, pressing down with the lid of a pan to compress sandwich. Flip halfway through cook time.